Surely, a film based on a political cover up and mysterious deaths will more than carry itself. Following the sudden death of his wife, Justin Quayle goes on a search to uncover the cause and gets caught up amidst a political storm in Africa regarding unethical and potentially dangerous pharmaceutical companies. 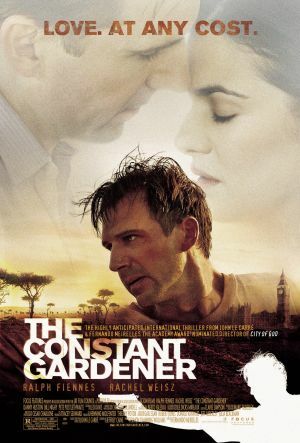 The Constant Gardener can be split into two halves and this is probably the best way to approach it: the first half almost entirely serves to build characters and set the scene as one long flashback of how Justin and his wife, Tessa, met and got involved in their work in Africa. It also offers a little insight into the issues surrounding the topical subject of corrupt drug companies and unjustified deaths. Tessa, played by Rachel Weisz, is the star of the first half, while Ralph Fiennes’ Justin takes more of a back seat; her character controls most of the scenes she’s in, coming across as a caring and charitable wife on the surface, while also controlling Justin by his love for her. However, the opening scenes make it clear Justin is the good guy who has reason to silently question her relationship with other men; despite her charitable good work, this darker side makes it difficult to properly relate to her and makes her come across as slightly cold. The dynamic between the two is very interesting to watch, however not necessarily when they’re on screen together; after her death, the relationship’s meaning is intensified and continuously affects Justin afterwards making for some very heartfelt moments. 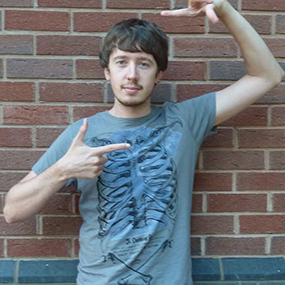 Despite the first half of the film’s slow character focus, it does fuel the second half bringing the film to life with Tessa’s death giving Justin reason to take a complete U-turn from his previous uptight self and starts to use fake passports, stops wearing suits, and tries to make a difference while attempting to discover the truth. He pretty much lets go completely and resorts to clever blackmailing, sneaking into countries and pretending to be a journalist to gain information, creating a much more exciting watch and turns the film into the thriller it’s billed as. If you're looking for a quick paced thriller this is definitely not the film for you. Fiennes' Justin, and the film itself, only come to life in the second half, which by then is a little late - but saying that, the couple's relationship is intriguing to watch and both deliver a convincing version of dysfunctional love. Unfortunately, the film as a whole just wasn't to my taste.